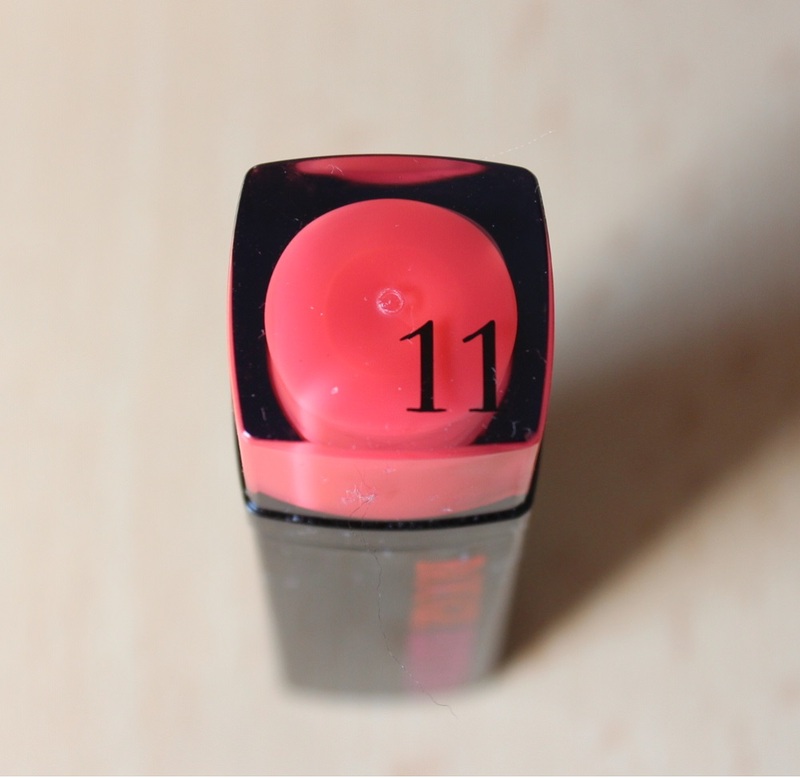 I’m sure it comes as no surprise, but if you haven’t already noticed, I can often be partial to a lipstick (or 10)! Whilst I had resisted the urge to buy the Bourjois Rouge Edition Lipsticks for a while, I finally gave in a number of weeks ago and came away with 2 colours (the Superdrug 3 for 2 offer made it very easy to sway my decision!) The shades I chose were 11 Fraise Remix and 07 Fuchsia Graffiti (review to follow). Visually, the Rouge Edition lipsticks are very appealing! I love that the base of the lipstick is transparent so you can see what shade it is and I think the black case is very sleek, although I’ve found it gets scratched very easily, especially when it’s rattling around in my bag! 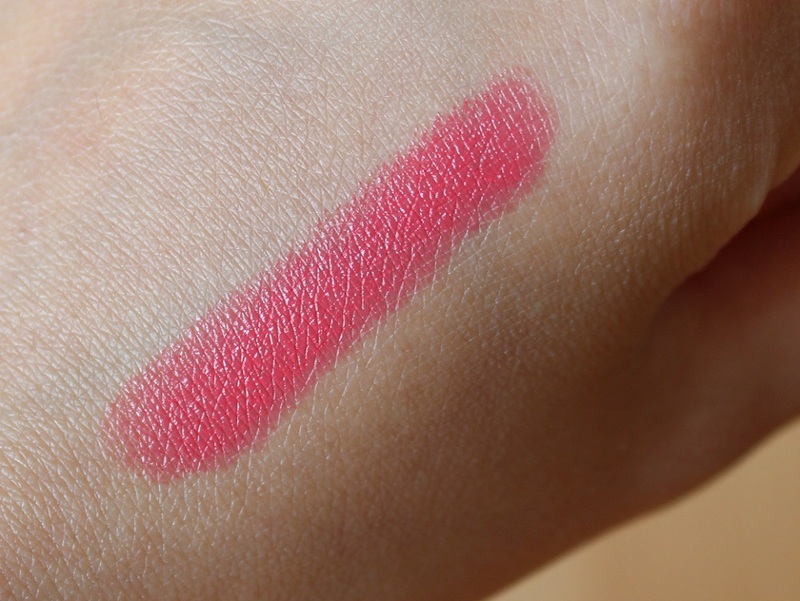 Fraise Remix is a fruity pink lipstick with hints of coral running through it and has great colour pay off. The bullet does make it look a quite bright, but don’t be alarmed because once applied it’s actually toned down a notch! 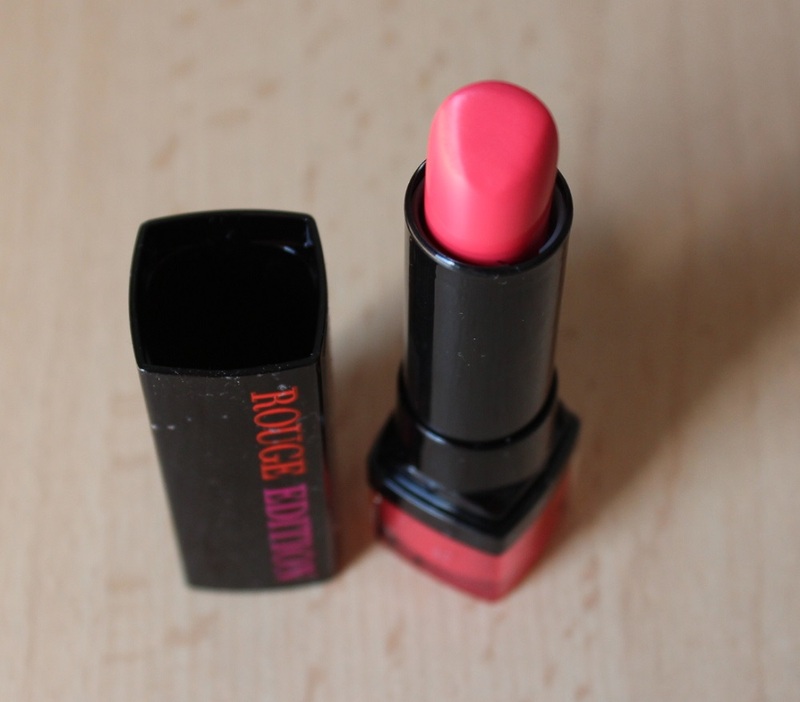 It has a satin like finish and is very moisturising. The Boujois Rouge Edition lipsticks are priced at £7.99 each and can be found in Boots, Superdrug or online. 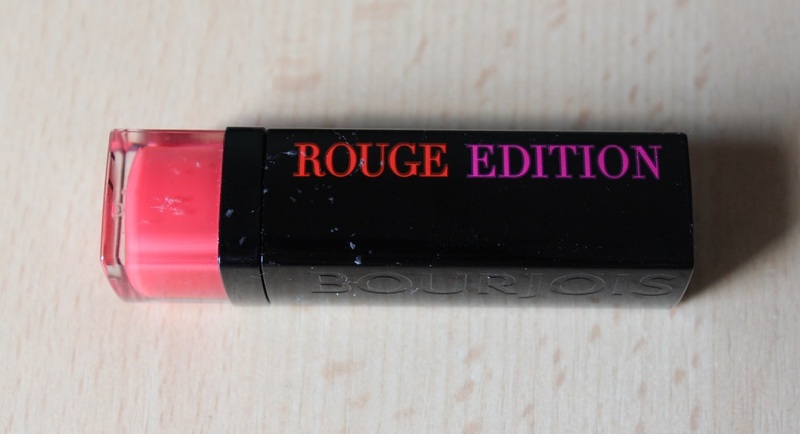 Have you bought the Bourjois Rouge Edition lipsticks? What are your thoughts?